The United States decision to put its space program in neutral is hopefully soon to be over. The National Aeronautics and Space Administration has handed out almost $4-Billion in contracts to private companies which are hoping to become the engine driving exploration beyond earth. 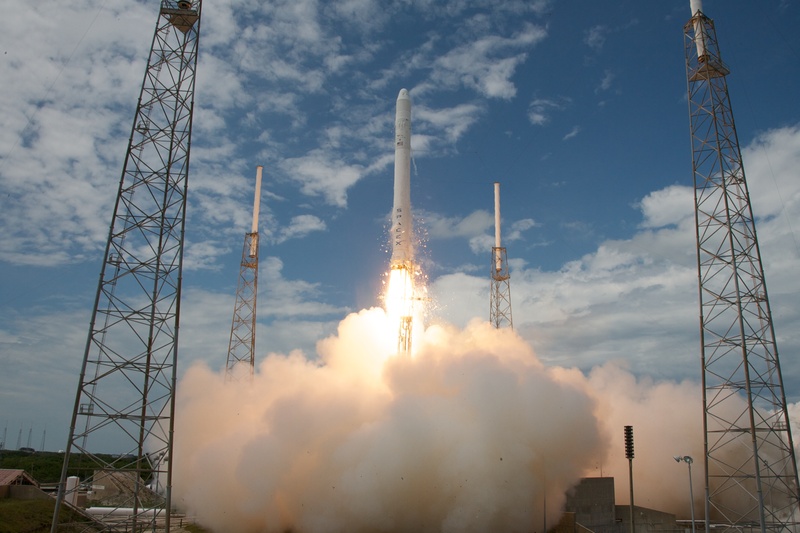 One of the companies, Space X, plans to dock with the International Space Station in March. Hopefully, a renewed active space program will create more spin-offs from which we all can benefit. We have all been touched by the space program. Home smoke detectors, cordless power tools, scratch resistant lenses, water purification system, high-density batteries, trash compactors, shock-absorbing helmets, home security systems, composite golf clubs, flat panel televisions, you get the idea. We live in a worldwide innovation economy, those that fail to innovate will fall by the wayside. For the United States to stay cutting edge, it has to be cutting edge. Pushing the boundaries of man beyond our atmosphere requires new and different ways of doing things. These challenges are the fertilizer to our economic prosperity. Meeting each challenge creates ideas which can branch off to impact our society in ways no one originally thought. The bottom line is that an active space program is an investment worth making because it blasts us ahead of our competitors here on earth. Posted on March 7, 2012, in Business, Economy, Life, Politics and tagged economy, exploration, funding, government, innovation, international space station, nasa, politics, space, space flight, space x. Bookmark the permalink. Leave a comment.